One-sentence summary: Two mythological creatures arrive in New York City at the beginning of the 20th century, immigrants plunged into communities alien, and facing threats greater than they know. Do I like the cover? : I do -- I think it captures the flavor of the book and the characters in a deliciously moody (and pretty!) way. 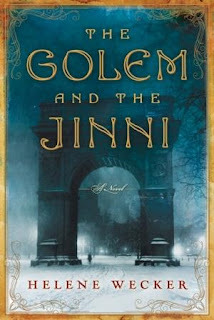 First line: The Golem's life began in the hold of a steamship. Did... I love browsing the author's website? : YES. She has sections on New York in 1899, Little Syria, the Lower East Side, as well as a helpful character list. Today just ran away from me! I meant to do this earlier, but got waylaid. It's a stunningly gorgeous day and I'm grateful for it! The winner of Cascade is ... Amy F.! The winner of Highlander Most Wanted is ... Melody May! The winner of The Chalice is ... Katherine G.! Congrats to the winners! I've emailed folks and everyone has until end of day Tuesday to get back to me. Be sure to check out my open giveaways. I hope everyone is having a lovely weekend so far! One-sentence summary: A young woman delves into her family's complicated past when she seeks out the truth of her great-grandfather and her family's connection to her ancestral home. Do I like the cover? : It's fine, although with that little girl, I thought there'd be some kind of abuse, but this novel had a different kind of violence to it. 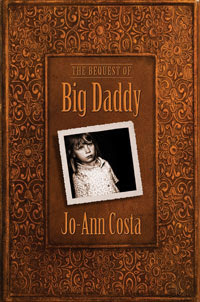 First line: As I understand it, Big Daddy was born that way, unable to help himself when he acted ugly and equally unable to recognize right from wrong. One-sentence summary: A poetic look at a month in Sylvia Plath's life, punctuated with trivia about 1953, American culture, women's lives, and New York City. Do I like the cover? 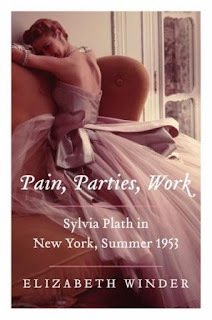 : I love the cover very much -- adore those retro pics -- but my galley has no info about the image. I don't think it's Sylvia Plath on the cover, which is really too bad, as there are some wonderful pictures from this time that I would have preferred to see featured. First line: Sylvia Plath committed suicide with cooking gas. 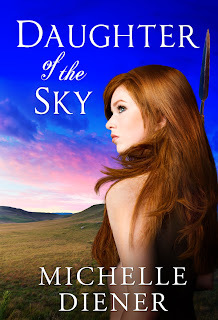 I just loved Michelle Diner's 19th century historical novel set in South Africa, Daughter of the Sky. It was gripping and escapist and granted me some time away from the stress of last week, and for that, I'm grateful. I'm doubly so as Michelle Diener agreed to answer a few of my questions, so read on to learn more about her and her writing, and be sure to enter the giveaway for her wonderful book! 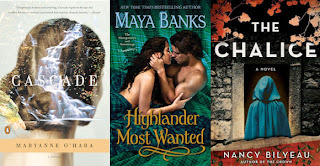 Hosted in April by Mari @ MariReads, here's my Mailbox Monday for the last few weeks. Such a lovely distraction getting all these fabulous books -- I don't know where to start! To learn more about a title, click and it will open in a new tab/window. It's feeling pretty celebratory here in Boston although I know everyone is heartbroken over the additional loss of life. Grateful it is all over and there is a suspect in custody. 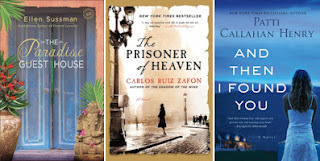 I'm also excited to get back to books and blogging -- and share this week's giveaway winners! The winner of The Tale of Raw Head and Bloody Bones is ... Jennifer M.! The winner of Like Chaff in the Wind is ... Ann (summergal05)! Congrats to the winners! Folks have been emailed and have until the end of day Tuesday to get back to me. If you didn't win, be sure to check out my open giveaways. I'd also be grateful if you checked out some of the reviews from this week if you haven't already -- I hadn't had the focus to be online and promote things (for which I feel terrible!). 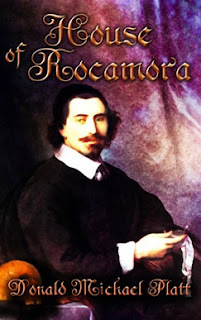 One-sentence summary: 17th century Dominican priest turns Jewish physician in Amsterdam. Do I like the cover? : Not really, although with the Dutch setting, it has a kind of Vermeer-y look to it that I like! First line: "¡Madre de dios!" Why did I get this book? : The setting was unique, and I'd read the first one! Did I finish? : I did, in a night. One-sentence summary: The story of Elizabeth's I court told through the eyes of a Swedish courtier who wants family, love, and friendship. Sorry for the delay in getting this up: I took advantage of yesterday's lovely sunny day to see friends! I'm having a particularly lovely weekend (grateful for that after my last few weeks!) and have Monday off as it is a Massachusetts holiday known as Patriot's Day (and also, it's Marathon Monday). Hope you all are having nice weekends! Now, winners! The winner of The Paradise Guest House is ... Jessica D.! The winner of The Prisoner of Heaven is ... Melissa from Confessions of an Avid Reader! The winner of And Then I Found You is ... DarcyO! Congrats to the winners! Folks have been emailed and have until end of day Tuesday to get back to me. If you didn't win, be sure to check out my open giveaways -- more coming this week! 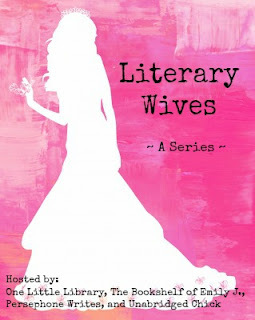 Earlier this year I was invited to be part of a blog group book club (of sorts) of bloggers who were wives who wanted to read and discuss books about wives. And while I'm a lot more than just a spouse, being my wife's wife is a huge part of who I am and my identity, and I just loved this frame for reading. If you're intrigued, consider reading along with us and chime in! One-sentence summary: A beautiful cabaret singer with a tragic past fights her evil Russian patron to find her true love and her estranged brother. Do I like the cover? 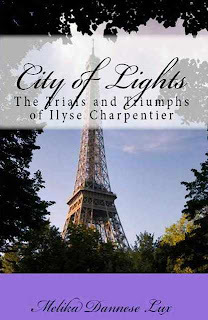 : I'm not wild about it, but it fits the book -- the Eiffel Tour features rather prominently in the story. First line: It was an age of glistening enchantment--the perfumed night air, the verdant trees lining the Champs Elysées, the decadent cabarets and dance halls offering solace in a glass of champagne, or comfort in a lady's arms. 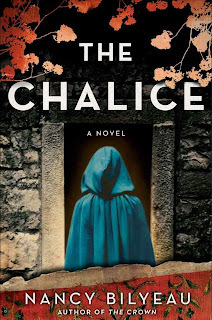 I'm still swooning over The Chalice, Nancy Bilyeau's newest novel featuring her ex-nun Joanna Stafford and the heady, hectic days of Henry VIII's reign. Nancy kindly did an interview with me last year so I came up with some new questions for her this year! 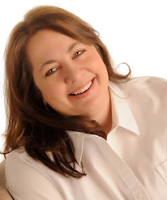 Read on to learn more about her novel and how she landed on Joanna Stafford, as well as what she's been reading recently. Don't forget to enter the giveaway! Was The Chalice the original title of your book? As you were writing The Chalice, was there a particular scene or character that surprised you? One-sentence summary: Former nun Joanna Stafford finds herself a part of a prophesy and a conspiracy in 16th century England. Do I like the cover? : I do -- that blue is quite eye-catching! First line: When preparing for martyrdom on the night of December 28, 1538, I did not think of those I love. Buy, Borrow, or Avoid? : Borrow or buy -- get this and the first book and be very, very happy! Why did I get this book? 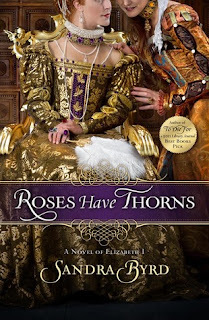 : I loved Bilyeau's first novel and have been on pins and needles waiting for this one.